Android is quite liberal in the ways it lets its users customize nearly every aspect of its looks – third-party launchers, widgets, lock screen apps, and even system-wide fonts. These days, you no longer have to root your device and dive into the depths of tech-savvy forums to change that aspect of your phone or tablet you see and use the most – the font. Likewise, if you seek novelty every other day, you can change them fonts to your heart’s content. 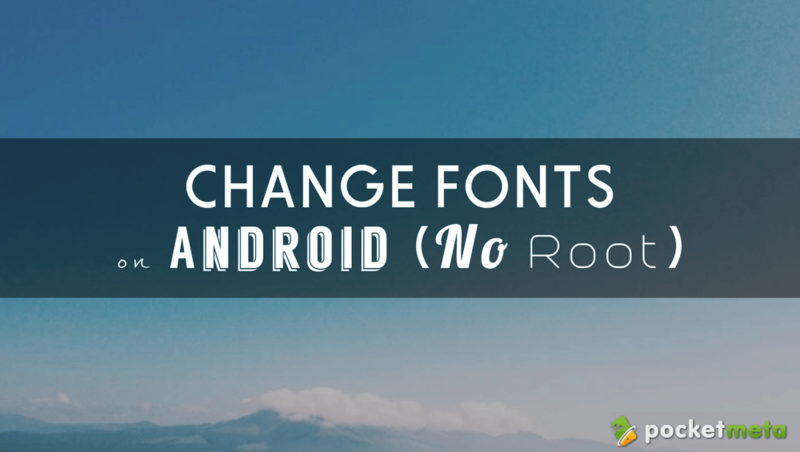 Today we will show you how to set a different font on most Android devices. First of all, Samsung has this feature built-in. Go to Settings → Display → scroll down to Font Style → select a different font. 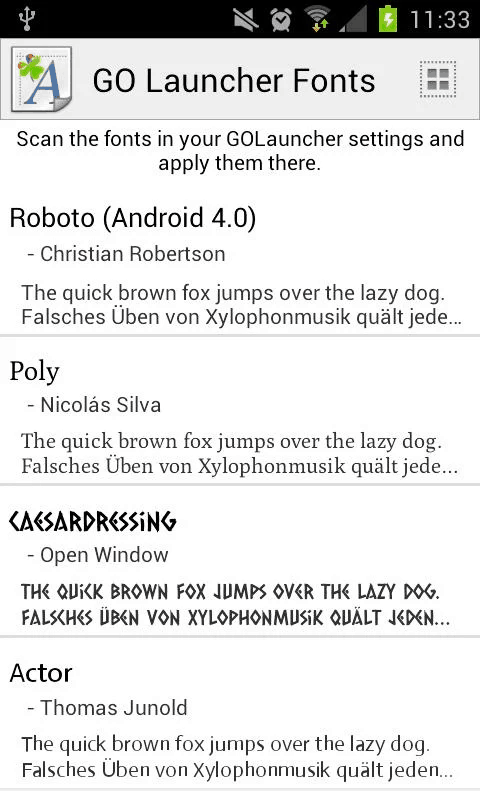 In case you find the in-built font style insufficient, you can head over to the Samsung Apps or Google Play and download quite a few third-party font packs for Samsung. They all mention in their description that they work with the Samsung devices. Download and install as many as you like, and from there you do not need to even open these apps. Just head directly to your Settings → Display → Font Style and see how the newly downloaded fonts got added to your fonts library automatically. It is worth noting there is also a Change Font Size right under the Font Style option, so if you tune your device for an elderly or visually impaired person, Samsung gives you the possibility to switch to a huge font size. LG devices have the same capabilities, and you can download more font packs, free and paid, from the Play Store or LG SmartWorld app. Finally, if your device is of a different brand that does not come with this feature baked in, you can always bypass that limitation by installing a third-party launcher. 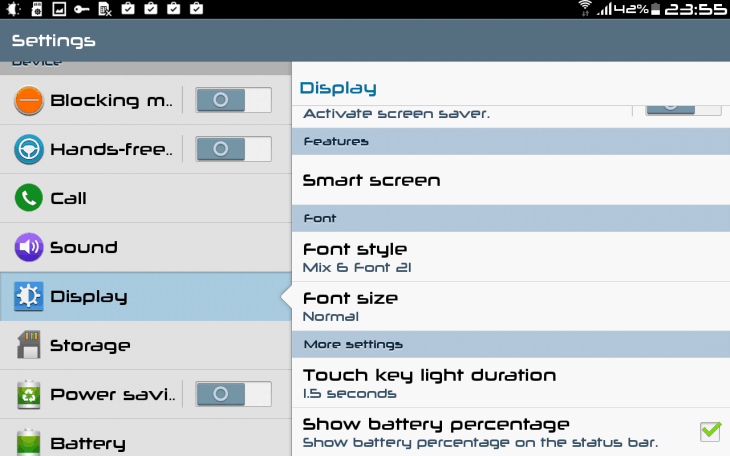 Many popular Android launchers come with the option that lets you change the system fonts. Next, open GO Launcher → Menu → Tools → Preferences → Personalization → Font → Select Font. A new font style will come into effect immediately, no reboot needed. Notably, you can also download custom fonts from the web in ttf format and place them in the /sdcard/GOlauncher Ex/fonts folder in case the fonts in the Fonts app are not enough. Just like with a third-party launcher, you can upload custom TTF files to iFont folder and use the app to set them as your system-wide fonts. The iFont folder is normally found in /sdcard/ifont/custom. Do note that once you change the font style using one of the above-mentioned methods, the new font will be displayed everywhere – Notifications, apps’ and games’ titles, your phone book, contacts, WhatsApp messages, your keyboard, your Google Play app, your device’s settings, your calendar, your widgets, your clock – you get the idea. Hence, it might be a good idea to remember the default font’s style. Just in case.